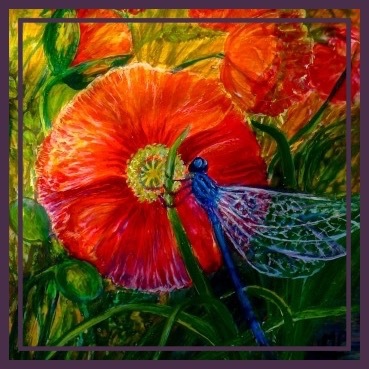 'Poppy & Damsel Fly' Click to Email Margaret. Poppy and Damsel Fly. A painted tile, Margaret's Logo.